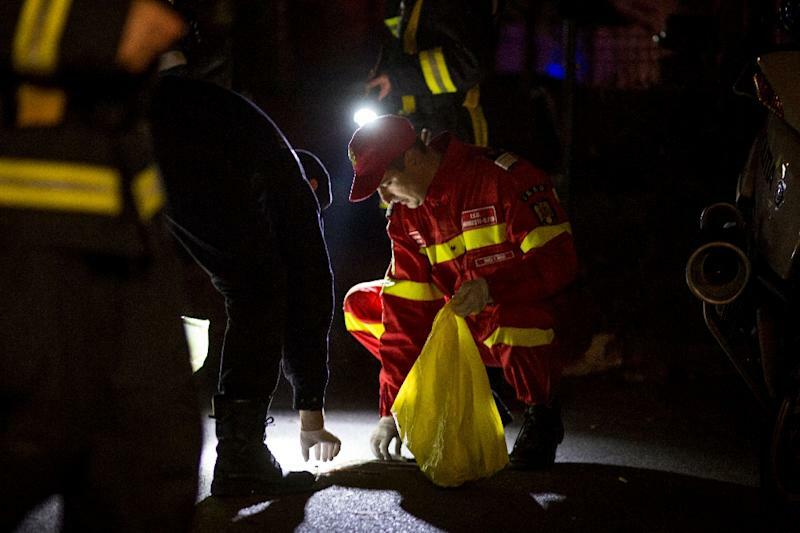 Bucharest (AFP) - Romania was plunged into mourning on Saturday after 27 people were killed and nearly 200 injured when a fire ripped through an underground nightclub in Bucharest. Survivors spoke of the horror that unfolded when fireworks -- set off during a pre-Halloween gig by a heavy metal band -- unleashed a blaze, followed by a stampede as terrified clubbers sought the exit. 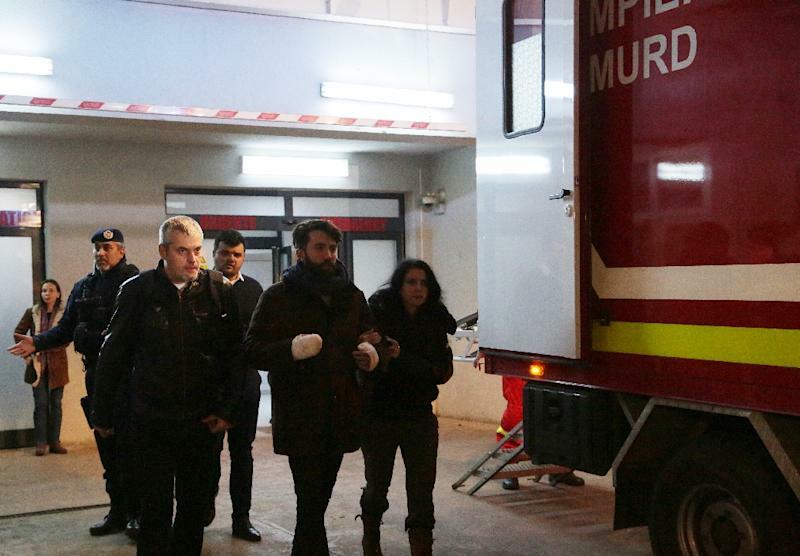 As the government declared three days of national mourning Prime Minister Victor Ponta said foreigners were among the injured, including two Spanish people, an Italian and a German, authorities said. President Klaus Iohannis said there were indications that safety regulations had been ignored at the club, and called for a swift investigation. 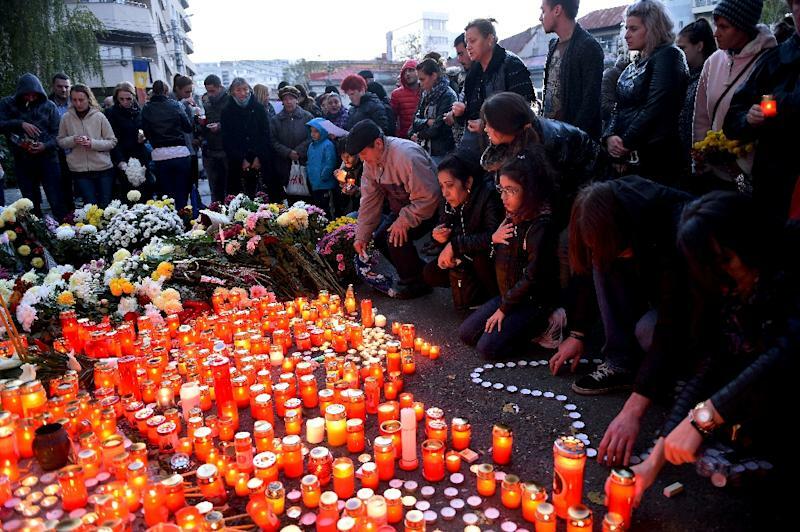 "I am saddened, but also revolted that a tragedy of this scale could have taken place in Bucharest," Iohannis said. "It is unimaginable that there could have been so many people in such a (small) space and that the tragedy happened so quickly because simple rules were ignored," he added after visiting the scene. "I hope that the authorities manage their inquiry with speed and rigour." The blaze broke out at around 11:00 pm (2100 GMT) Friday at the Colectiv nightclub, where according to witnesses between 200 and 400 youngsters had gathered for a performance by rock group Goodbye to Gravity. Twenty-six people died in the club and one died in hospital, the secretary of state for the interior, Raed Arafat, said after a meeting of a national emergency committee. Of the nearly 200 injured, 146 people were hospitalised for burns, smoke inhalation and other injuries, he said. Hospital sources said 10 were in a critical condition. The band's singer and bassist were said to be in a serious condition, according to local reports. "This is the worst tragedy of its kind" to have ever happened in Bucharest, Arafat said. Iohannis said he was "shocked" and in "deep pain". "It is a very sad moment for our nation," he said in a post on his Facebook page, expressing his "solidarity and compassion" for the families of the victims. Witnesses described nightmarish scenes when fireworks, let off as part of a show to promote the band's new album, set fire to a pillar and part of the ceiling. The crowd panicked as thick smoke engulfed the room, prompting people to scramble to escape from the club, located in a communist-era basement. "People were fainting, they were fainting because of the smoke. It was total chaos, people were trampled," witness Victor Ionescu told local television station Antena 3. Another witness, Alin Panduru, said the fire spread "in 30 seconds". "People could not get out of the club because there was only one exit open and the stampede happened immediately," he told online news portal Hotnews. Several media outlets reported that a second exit was closed at the time when the blaze broke out. Many of the casualties suffered from leg injuries after being trampled, according to health authorities. More than 500 firefighters, ambulance crew and police were mobilised. Hundreds of people responded to calls on Facebook for blood donations, with long queues forming outside several hospitals and donation centres in the capital early on Saturday. Authorities have also set up telephone helplines for members of the public trying to locate friends and relatives. Identifying the victims has proved difficult as many were not carrying IDs. Music website Metalhead has published a list of anyone who has been hospitalised and was able to give their name on its Facebook page. Fireworks and restricted exits have been a lethal combination in many nightclub fires around the world. In one of the worst such disasters, 156 clubbers in the Russian city of Perm died in 2009 in a blaze caused by pyrotechnics, and 83 were injured. Seven people were jailed for up to nine years after the tragedy.